The MINA Special Edition for the Journal of Creative Technologies provides an overview of current developments and dynamics within multi-disciplinary contexts. 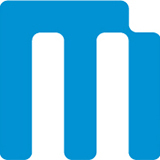 Issues discussed include mobile media production; mobile pedagogy; mobile aesthetics; mobile hybrid arts; mobile interactivity; mobile space; mobile society; and mobile transmedia. The papers in this Special Edition explore Creative Technologies including AR, Quantum Filmmaking, open-source technologies, i-book publication, mobile video applications and smartphone apps. Innovations afforded by mobile technology are manifest and demonstrated through mobile applications for site-specific installation in a post-gallery context, interdisciplinary participatory art practice, archivists and citizen documentarians, Māori screen industry, and videoloop filmmaking. Discussions integrate theoretical and conceptual frameworks of embodiment, interactivity, mobility, computer science, new media, conceptual art, narrative, participatory archiving strategies, autoethnography, visual culture, and practice-led research. Brought together in this Issue, they demonstrate the contributions that mobile media make to the Academy. 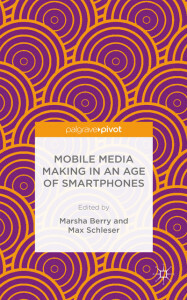 Dr. Marsha Berry and Dr. Max Schleser co-edited Mobile Media Making in an Age of Smartphones. With the rise of smartphones and the proliferation of applications (“apps”), the ways everyday media users and creative professionals represent, experience, and share the everyday is changing. With the overlay of location-based services, these experiences and representations are providing new social, creative, and emotional cartographies. This collection discusses the prospects of the proliferation of mobile and digital filmmaking opportunities, from videographic citizen journalism to networked, transmedia collaborative filmmaking and photography, and the embedding of filmmaking and photography in social media practice. The contributors reflect on emergent creative practices as well as digital ethnographies of new visualities and socialities associated with smartphone cameras in everyday life.